In a Thursday evening meeting of the U.S. House Oversight and Government Reform Committee, Treasury Inspector General for Tax Administration (TIGTA) J. Russell George told the committee that his office has been able to recover emails from more than 700 backup tapes secured from the IRS. In light of evidence that suggests some of the tapes may have been erased, and because it is unclear why the IRS delayed producing the tapes and asserted the data from the tapes was unrecoverable, the potential for criminal charges was mentioned. Treasury investigators were able to recover files in less than two weeks after receiving the tapes. Investigators are now attempting recovery on about 400 additional tapes, seeking to find more emails from Lois Lerner’s accounts that the IRS claimed were lost. These additional 400 tapes were not produced by the IRS in response to a request from the inspector general. The IG has reiterated his expectation to see all data relevant to Lois Lerner and the IRS investigation. George explained to the committee that the investigation is still ongoing, so he is nowhere near being able to say exactly what happened, who did it, or what it all means. The technology issues associated with Lois Lerner’s email account and the delays in data production by the IRS may be a result of poor technology implementation, incompetence, or inadequate technology resources at the IRS, or they may represent part of a pattern of stonewalling the multiple investigations into the IRS scandal currently underway. Democrats on the committee expressed concern about holding a hearing about a pending investigation. They also have questions about the inspector general’s impartiality, since he was a George W. Bush appointee and previously served on the Republican staff of the House Oversight Committee. These concerns have thus far been determined to be unfounded. At the request of congressional Democrats, an inspector general oversight board reviewed George’s actions and “threw out” the investigation last year. NPQ has reported extensively on the IRS scandal since May 2013, when a TIGTA audit report documented the practices by IRS personnel of flagging applications for tax exemption based on conservative-sounding keywords, delaying the processing of these applications, and subjecting applicants to follow-up requests for information that the inspector general determined to be inappropriate and unnecessary. The IRS claims that it has cooperated in all investigations, producing more than 1 million pages of documents and almost 150,000 emails. 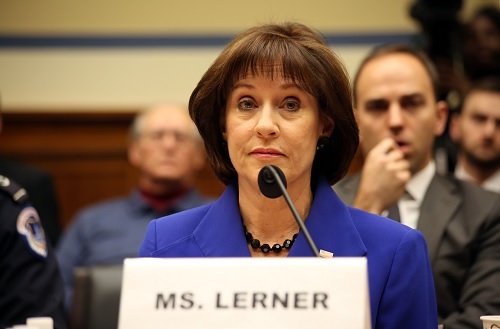 However, many of the most important communications about Lerner’s conduct in the IRS scandal have come not from investigators and the IRS but as a result of nonprofit watchdog groups like Judicial Watch and Cause of Action submitting Freedom of Information Act (FOIA) requests to agencies other than the IRS—specifically, the Federal Election Commission (FEC) and the U.S. Justice Department/FBI.